Charles and Ray Eames are one of the great design couples of all time. Their collaborative projects, which included toys, film, urban planning, and furniture, influenced almost every aspect of late twentieth-century design. The Eameses met at Cranbrook, married, and moved to California where they began their joint practice initially focusing on furniture and interior design. They strove to dispel the belief that modern design was uninviting and created interiors that were warm and informal. The ESU (Eames Storage Unit) series was inspired by industrial shelving as an inexpensive solution to the changing storage needs of mid-century families who were more mobile and informal than the previous generation. The series was offered in different sizes with the closed cabinets, number of shelves, and bays varying to suit the owner’s particular needs. By interchanging color panels and textures, the units could be further personalized while resonating with the contemporaneous trend in painting toward geometric abstraction. 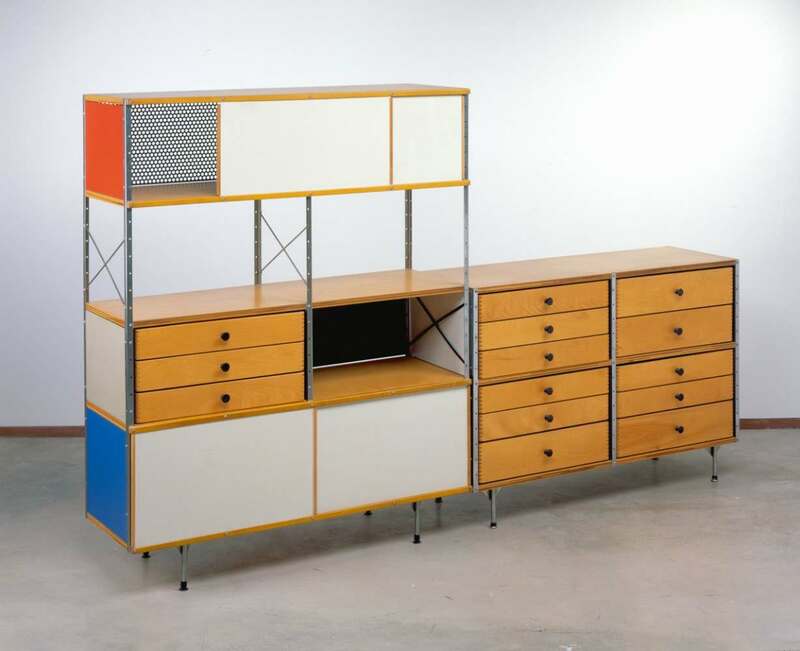 Originally offered as self-assembly and later as pre-assembled, the ESU storage units are perhaps one of the most recognizable furniture designs of the last century.